M.V.Sc. in Veterinary and Animal Husbandry Extension is 2 year full-time post-graduation program specializing the students in the field of Veterinary and Animal husbandry. The eligibility of the course is qualifying the bachelor’s degree in Science or BVSc with minimum aggregate marks of 55% and above from a recognized university. The average program fee ranges between INR 28,000 to 3.25 Lacs. This is subject to vary for different institutions based on the norms prescribed by them. M.V.Sc. in Veterinary and Animal Husbandry Extension specializes in the genre of Veterinary and its application in the field of Animal Husbandry and farming. Candidates are required to clear the Pre-Veterinary Entrance test conducted by various reputed colleges and university, as prescribed by the Veterinary Council of India which is a statutory body. This council is responsible for conducting various medical courses on Veterinary science across the country as well as monitoring of institutions. The admission is based on merit list. The aspirants are required to possess the hunger for knowledge in order to imbibe the basic and complex aspects of the subject. Candidates through this program are enabled knowledge of the techniques, activities, and processes associated with Animal Husbandry. Applicants those who possess the basic knowledge of the workings, and those having good interpersonal skills are deemed suitable for the course. Graduates of the program post its successful completion have the opportunity to either take up further research study in the field as well have lucrative job scopes in various segments of Veterinary Science and Animal Husbandry both in Private and Government sectors. Candidates draw a decent package ranging between INR 2 to 9 Lacs per annum. Eligibility Bachelor’s Degree in Science or BVSc with a minimum aggregate of 55% marks and above. Qualify Entrance Examination. Top Recruiting Companies Fishery Department, Drug Research Institutions, Para Veterinary Staff Training Schools, Biological Products and Vaccine Product Plants Dealers, etc. Job Positions Animal Farm Manager, Veterinarian, Veterinarian Technician, Pharmacy Research Scientist, etc. M.V.Sc. in Veterinary and Animal Husbandry Extension: What is it About? M.V.Sc. in Veterinary and Animal Husbandry is a specialized field of Veterinary medical science educating students about the treatment of animal diseases and ailments. Clubbing the program of Veterinary and Animal Husbandry together, the program aims to elucidate the students regarding the intricacies of the subject and thus accelerate their career by getting them acquainted to and making them explore the different areas of fields included in Veterinary Science. The program aims to provide an intrusive knowledge regarding the aspects of animal husbandry, covering the various disciplines of Veterinary Science. MVSc in Animal Husbandry Extension is a comprehensive field of study which aims at increasing the knowledge of candidates who wish to gain a deeper insight of the field. The program of Veterinary Science specializes in the areas of Animal Nutrition, Livestock Product Technology, Wildlife Science, Understanding of Animal Genetics & Breeding and so on. The curriculum engages students in gaining both theoretical and practical knowledge of the field. By conducting applied and basic research, students are provided with a stronger base for taking up future research programmes. The department of MVSc in various colleges also conduct field works which include a visit to farmlands, arranging camps, meeting the farm community, thus enabling candidates to get a realistic approach to the subject. M.V.Sc. in Veterinary and Animal Husbandry Extension is a career-oriented course, which enables the aspirants to start their career as Veterinary experts in the varied field. The students are trained in gaining knowledge of fodder enrichment, Heifer management, utilization of milk products, weaning of calves and other such. The overall aim of the course is to perfect the skills of candidates through live study and classroom knowledge, making them proficient in their area of work in future. 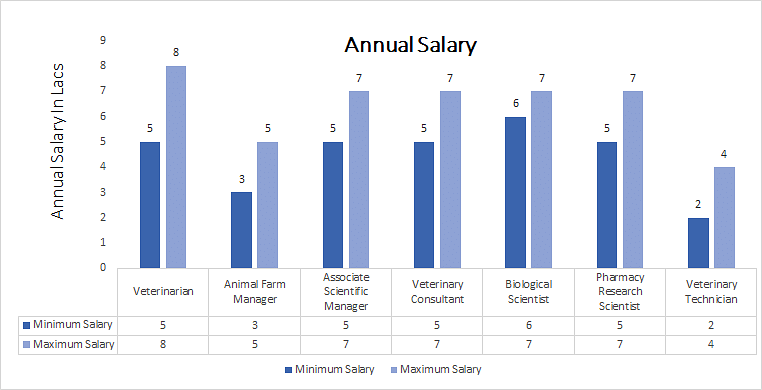 Candidates are supposed to qualify their Bachelor’s degree in Veterinary Science in Veterinary and Animal Husbandry with minimum aggregate marks of 55% marks and above. Candidates who have passed any equivalent examination or B.Sc. or any other degree with subjects of Biology and Zoology with minimum qualifying marks are also eligible for admission. Applicants will have to clear the entrance examination conducted by some of the reputed institutions and universities. Applicants who seek admission to M.V.Sc. in Veterinary and Animal Husbandry Extension course are required to meet the required eligibility criteria as set by respective colleges. Aspirants who have qualified their Bachelor’s degree in Science (B.Sc.) or (BVSc) or any equivalent examination with a minimum aggregate of 55% marks and above are eligible for admission. In addition, it is mandatory for applicants to clear the Pre-Medical Entrance Examination. These examinations are conducted as per the norms formulated by The Veterinary Council of India (VCI). Admission to the course is based on the Merit list. The final marks computed after the entrance examination and the score obtained in the degree level together is added to fix the merit list percentage. This cut-off is subject to differ for different colleges and institutions. Applicants are supposed to fill the online application form and submit the required documents with attestation. Applicants can get all the important information about the course and its fee details on the official website of the college. The curriculum of the course is a balance between classroom study and projects rendering the students a practical outlook of the subject. Throughout the course, students are given an in detail knowledge of the various aspects of Veterinary Science and Agriculture and the technology used. The projects render the students a deeper insight into the program, making them capable to take up research program of the subject in the future. Graduates are trained in using their skills and knowledge with full expertise in the field of work. Having gained a practical knowledge of the subject through field studies and assignments rendered in this course, students are enabled to deal with real life scenarios with much practicality and logic. After the completion of M.V.Sc. in Veterinary and Animal Husbandry Extension students are laid with a plethora of opportunity to explore, gaining lucrative prospects of the job in sectors of Veterinary, Healthcare, Animal Husbandry and Animal Welfare, work for shelter houses, Drug Research Department, Experimental Animal Unit, Fishery Department and much more. They can become Animal Farm Manager, Veterinarian, Biological Scientist, Associate Scientific Manager and so on.